Many organisations could benefit from our asset recovery service. Sites may contain valuables such as equipment and metals – which can be lost when demolition works are undertaken. However, many of these items are recoverable. It can be a viable solution to have assets stripped from structures prior to demolition. Our highly-skilled, experienced team can safely dismantle and remove structures, plant and equipment on-site for redeployment or resale. The salvage of these recoverable assets can therefore assist in offsetting the expenses involved in premises closure, demolition works and/or the re-location of operations. Our team help clients to maximise asset recovery. 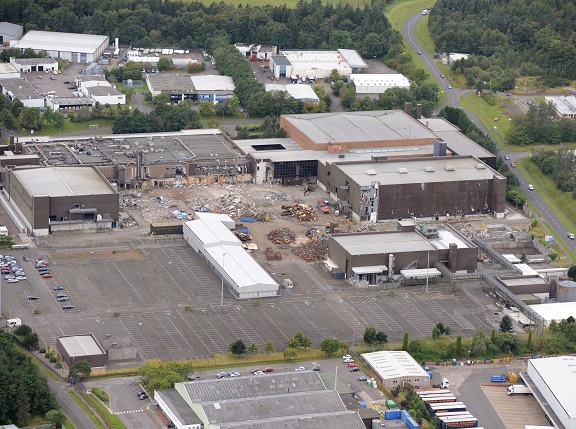 We have previously worked with clients to recover assets from all sizes of project including from John Brown Shipyard in Clydebank and the Freescale Motorola site in East Kilbride.